From $65 to $2,200, there's pretty much a buy-in for every poker player Sunday at TVPokerRoom as the WSOP Circuit Series nears its end. 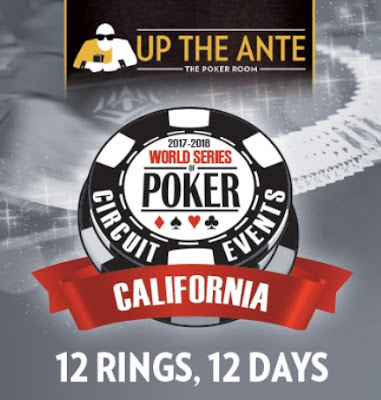 Two Ring Events, a satellite, Day 2 of the Main Event and the Nightly all on tap. Here's the full schedule for the final full day of a series in this poker room. The next full day of tournaments in a series is the first week in March in the All-New Poker Room.